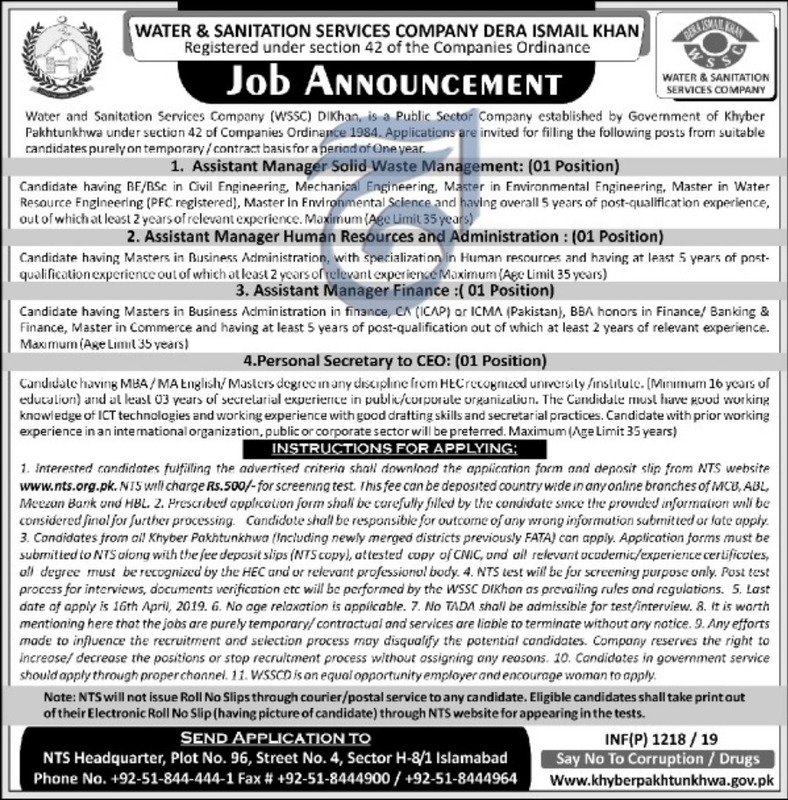 How to Apply for WSSC Jobs 2019? 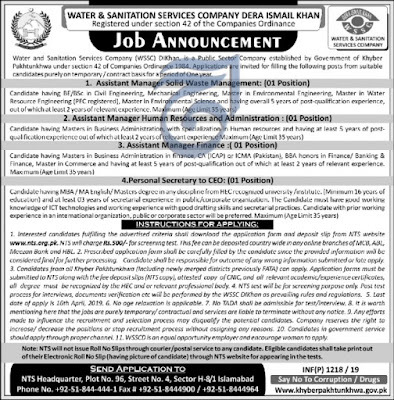 Application Form must be submitted to NTS Along with Fee deposit slip (RS. 500/) & attested copies of CNIC, Academic documents, Degree, Certificates, must be recognized by HEC.